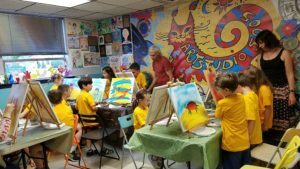 New Art Class is starting April 29, 2019. Working with the right side of the brain, developing creativity, imagination, fine motor skills, non-verbal visualization, helping children express feelings through art. Clay sculpting; Life model drawing; Painting in acrylic and/or oil canvas; Monotype ( prints); Pastel or chalk drawing. 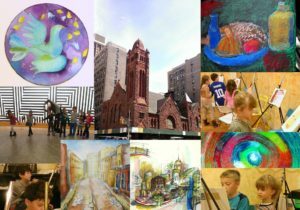 We teach children and adults how to broaden their imagination and creativity in art through a variety of techniques and media. We believe that everyone has a talent that can be nourished and revealed. During our classes, we encourage our students to follow their own creative process, not follow step-by-step instruction. Our goal is to bring more art and joy into the world! Cost for the 8 session program $280 for YMCA family members, $300 for program members, $320 for community members. YMCA membership is not required.